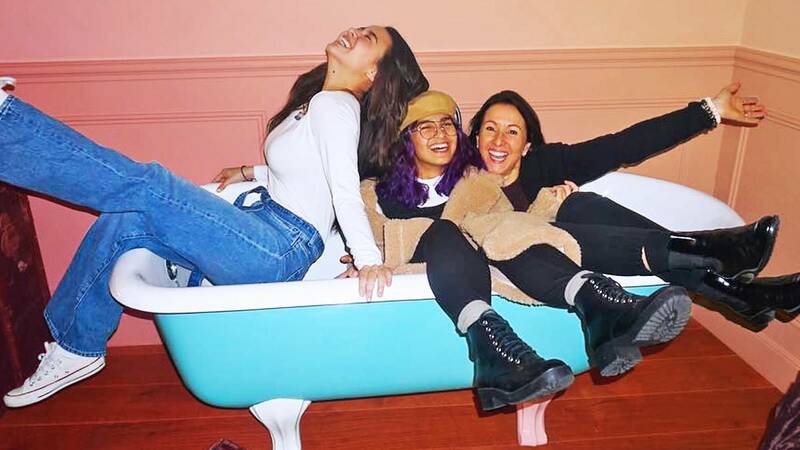 Early this month, Yassi Pressman shared that she met her London-based half-sister Cara Pressman for the first time ever. Together with her younger sister Issa, the 22-year-old Filipino-British actress took to Instagram and wrote an emotional message over meeting her Ate Cara. In an interview with Rated K, Yassi revealed that it was because of a scheduled Ang Probinsyano fan concert in Italy that helped in reuniting her with her half-sister. She said that her 50-year-old Ate Cara booked a flight almost immediately after telling her of her work trip to Italy. "Sobrang na-touch ako na hindi mo na kinailangang magdalawang salita. Mage-effort siya para makita kami ng sister ko kaya gan'un din ako, 'di na ako nagdalawang isip, sabi ko isasama ko si Issa." She added, "Basta pagkadating ko 'dun at pagkabukas ko ng door, nag-freeze na lang kaming dalawa and 'yun, iyak na lang ako ng iyak kasi para siyang picture na nabuhay." Yassi also disclosed that she will soon find time to meet with her fourth sister who is based in Australia.